The lions are very proud and grateful to have made it this far. 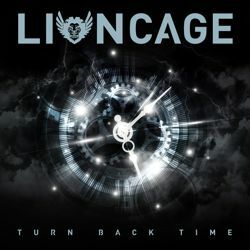 The new album reflects exactly what the band loves and what Lioncage stands for, also in 2018: a diverse album with great tunes, many hooks, cool grooves and powerful guitars. If you think that this album celebrates rock music more than anything else presented by Lioncage so far – you are right. The lions roar louder and the guitar sounds are thicker. Since 2017 the band has performed live on stage in great gigs together with FM, Dan Reed Network, Tyketto, Three Wishes and others. This has had a sustainable influence on sound and song-writing, it has added new sides to the music and has given it more power without losing any melodiousness. For the first time some friends of the lions contributed to the song-writing. “Comfort Me” was written together with Joe Castellini and “Turn Back Time” with Olaf Senkbeil. Lioncage initially started as a trio but has meanwhile grown into a permanent group of five lions, every now and then enhanced by a guest. Out of the ashes of KNIGHTMARE, GREAT LEAP SKYWARD is an Australian supergroup featuring members of KNIGHTMARE, 4 ARM and SEPTERRUS. After the release of KNIGHTMARE's debut album “In Death’s Shadow“ in 2014 and the departure of their vocalist in 2015, the band decided to make a new start with a new name and brand. The band was looking for a new singer for a while, not knowing that the whole time their new vocalist was already in their ranks. Taking two years during the production of the album to train his voice, guitarist Luke Besley stepped up and delivered a more than album worthy performance. 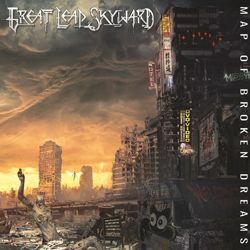 Great Leap Skyward takes on an epic and progressive approach to their sound with “Map Of Broken Dreams“, in what has resulted in a sonic metal assault on the senses that could only be classified as “Cinematic Progressive Metal”. After years of writing, recording and touring, Great Leap Skyward look to leave their traditional roots behind and true to their name, forge a new sound devoid of any restrictions and limitations. Written and produced by new frontman Luke Besley and mastered by the legendary Ermin Hamidovic (PERIPHERY, PLINI, ANIMALS AS LEADERS, DEVIN TOWNSEND), “Map Of Broken Dreams” is a refreshing, yet aggressive take on progressive metal that is sure to turn a few heads. GREAT LEAP SKYWARD is comprised of vocalist and guitarist Luke Besley, bassist Matt McConaghy, drummer David Allen and guitarist Jim Munro (who is best known as the guitarist of Australia’s past premier thrash outfit 4ARM, who toured with Slayer and Gojira in 2013 across North America). Forget everything you've heard before. This album will show you a never heard side of progressive metal and opens up new dimensions! 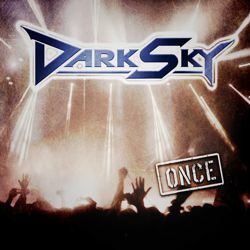 Founded as a school band in Rottweil/Germany in the early 80’s, DARK SKY was on the international map in the mid 90’s for the first time with the debut album „Believe It“, which had big success in Asia, especially in Malaysia. 2002 was the release of the second album „Edge Of Time“, which brought them on the map in their home country as well. It was followed by „Living & Dying“ and „Empty Faces“, which showed the band from their harder side without losing their trademark melodies. In 2012 they released „Initium“, a concept album, also produced (like the previous two) from producer Markus Teske (SYMPHONY X, VANDEN PLAS). DARK SKY are better than ever and ready to hit the stage again. A tour as special guests for Swedish Melodic Rockers TREAT for November 2018 is booked already! TASTE was born on the day before New Year’s Eve 2009, when the two brothers, Christoffer and Felix Borg decided to make music together. The vision was to make classic 80s AOR, greatly inspired by FM, Giant and Strangeways. Signing a deal with AOR Heaven, the self-titled album was released January 2013. The album received a lot of good reviews for their classic keyboard driven sound. After doing a few live performances the brothers joined ART NATION. During this time, Christoffer started study to become a music producer and they decided to leave TASTE aside until there was enough time to do it properly. After a four year hiatus the brothers finally found the time to work together again. 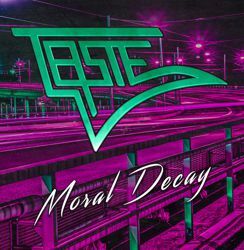 With a brand new single, ”We Are Back ”, released on their own, they signed a new deal with AOR Heaven, and in August 2018 they’ll release their highly anticipated second album, ” Moral Decay ”. “Moral Decay” is recorded and mixed at Top Floor Studios, Gothenburg, by Christoffer Borg (Anthrax, Amaranthe, Danko Jones). 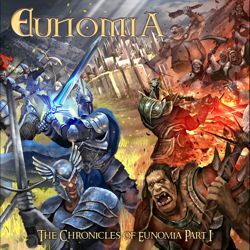 The album is mastered by Jacob Hansen (Volbeat, Amaranthe, Epica). 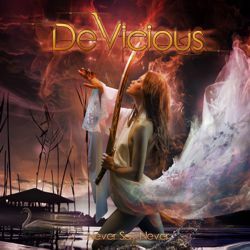 DeVicious are an international Hard Rock band with a home base in Germany. The band has so far released five video clips, and “Never Say Never” now marks their first physical release which was set for a release to August 24th, 2018 on Pride & Joy Music. Founded in 2016 in Karlsruhe, Germany by six long time musician friends who in the past have performed and recorded with Andi Deris Band, Chryztyne, Umbra Et Imgao and Zar, the group has the intention to play 80’s type of Hard Rock. The group consists of Alex Frey (bass, song-writing, production), Radivoj Petrovic (lead guitar), Gisbert Royder (rhythm guitar), Denis Kunz (keyboards), Lars Nippa (drums), and Serbian singer Zoran Sandorov aka Mister Sanders. After the release of the first videos for the tracks ““Everything” and “Penthouse Floor” in early 2018, the band toured in Germany together with the bands Xtasy and Ammunition in March 2018. In December 2018, DeVicious will again hit the road as support for none other than US Hard Rock legends Hardline. Album No.2 already is in the making. 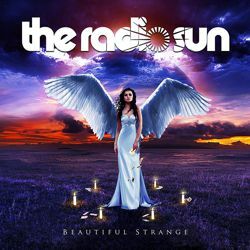 Australian melodic rockers The Radio Sun have done it again with their new album 'Beautiful Strange'! With the band's debut album released in 2014, this will be the fifth album in five years! The Radio Sun have worked very hard to build up their following by touring all over the world in support of each and every release. Performances in Japan, Europe, United States, United Kingdom and their home country Australia has showed the band's ability to rise. The Radio Sun are the first band to ever play Hard Rock Hell AOR Fest U.K four times in a row, whilst also having played at Melodic Rock Fest on four different occasions. The four piece group is fronted by the charismatic Jason Old on lead vocals, guitar slinger Stevie Janevski, bassist Anthony Wong & drummer Gilbert Annese. With all four members singing backing vocals, the boys delve into layered vocal harmonies reminiscent of the classics - Queen, The Sweet & Def Leppard. This is not to say that they don't have their own sound. The Radio Sun have great unique hooks in their songs. The new album is another progression for the band, with songs like 'Hold On Tight' and 'Miss Wonderful' grooving like never before. 'As Long As You Want Me' and 'Five Years After' are both melodic bliss, boosted by a great production by Paul Laine (solo, The Defiants) and mastering by Bruno Ravel (Danger Danger, The Defiants). The Radio Sun is feel good music and sounds just as strong acoustic or electric. Last year the boys performed acoustic shows in Japan and this year saw The Radio Sun invited to play the prestigious Sweden Rock Festival.